I don’t expect that I shall ever forget being jarred awake with the news that my workplace had been flown through the side of someone else’s, resulting, naturally, in the fiery destruction of both. In the ensuing worldwide panic, fear, and sorrow, the airplanes (and, lest we forget, the people on them) were quickly reduced to little more than the visually arresting catalysts of a terrible, horrible, no good, very bad day, but to airline employees, and to air crews in particular, September 11th is an especially sacred day of remembrance and reflection. In a way that the media rarely does, we remember our co-workers and the sacrifices they were called upon to make. Pilots and flight attendants who lost their lives in the line of duty in ways that we had never previously been called upon to imagine (murdered point-blank with box cutters, used as components of flying Molotov cocktails, disintegrated in a Pennsylvania field helping to fight for positive control of an airplane-turned-missile in a world gone mad) and that since we are forced to confront every day. We empty our pockets and take off our shoes and isolate our laptops and publicly submit to an elaborate security screening ritual, knowing that box cutters are permitted in passengers’ carry-on luggage, an unfathomably boneheaded First Step in allowing the entire horrifying process to one day repeat. 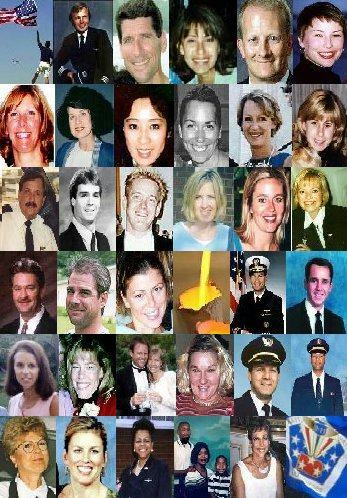 It is my intention each year on September 11th to remember the sacrifice and honor the lives of the 25 flight attendants who were killed. I knew none of them, and if I’m completely honest, my professional respect for each of them and my sincere sympathy for their friends and families is tempered still by a profound gratitude that flooded me as I stood at a payphone in a Big Island laundromat eleven years ago, weak in the knee and weeping with relief that I recognized none of their names. I honor them as colleagues and ache at the idea of a fear that I can’t fully conceptualize and hope never to glimpse, but true grief for them belongs to others, and is mine neither to appropriate nor to define. September 11th of 2001 happened to find me in Hawaii with three non-airline friends, and the day did indeed dawn with a frantic 4 a.m. phone call from the mainland and hours of slack-jawed, uncomprehending coverage-watching. But there is a limit, or there should be, to the number of times one person can watch the World Trade Center implode and then fall down. Anyway, there was a limit to the number of times these four people could sit and watch it, and by late morning, the fact that we would not soon leave the island had been firmly established, and we lit out for the sea. In the life I had lived up until, and including, September 10th of 2001, “meditation” was a wacky new-age concept about which I knew nothing and which I had practiced approximately zero times. And I did not set out to meditate on September 11th, either, but rather to use a Snorkel Bob’s rental as a distraction until such time as we could reasonably gather around the hotel pool and drown our sorrows in mai-tais. But Hawaii — or the Universe, or the King of the Sea Turtles, or somebody — knew that I didn’t need distracting so much as I needed my eyes opened. To the world around me, to my place in it, to the Spirit that runs through it and connects us all. The sea turtles came to us immediately, from out of nowhere and in droves, and stayed with us for hours. They calmed, they comforted, they fed and frolicked, and they communed, at least with me, on a spiritual level that I have experienced in the Animal Kingdom neither before nor since. I emerged — reluctantly — from the water centered and stronger, taking my first steps across the beach and into a life more full of purpose, gratitude, awareness and celebration than any to which I had hitherto aspired. September 11th changed my life, largely by teaching me to reject fear. Not because I never feel it, and not because it isn’t a real, elemental emotion, but because bowing to it and living in its grip is a choice. Each September 11th, I make time to sit with my fear. To remember the horror, the shock, and the grief of that day and the uncertain days that followed, and the havoc that was wreaked on my once all-important work life as an immediate result. I recognize and respect this fear, for it is big and it is real, and I face it to the best of my varying-according-to-the-year ability, and then I banish it. I acknowledge its authenticity, and then deny it its power by sending it packing. To me, the fiery images of exploding airplanes and collapsing skyscrapers that saturate our national memory, and certainly our TV screens and newspapers, only tell part of the story. For me, September 11th is also a day to recognize and celebrate renewal. My own life has been one of regeneration ever since — new nieces, new nephews; a new husband; new friends and a new and deep appreciation for old ones; a new life as an artist and as a spiritual explorer. An ocean full of oblivious fish and sympathetic sea turtles taught me that the Circle of Life is so much bigger than we are, and so much more important than the events in any one life or of any one day, graphic and horrifying though they may be. Like the waves in that same ocean, Life rolls on. Towards you, then over you in the blink of an eye, and then, yes, on without you. I will never forget what happened on September 11th of 2001; I will never forget what befell 25 of my airborne sisters and brothers on that day; and I will never — ever — forget to give thanks for a day in the ocean, and for every awesome thing that has come into my life in the intervening eleven years. 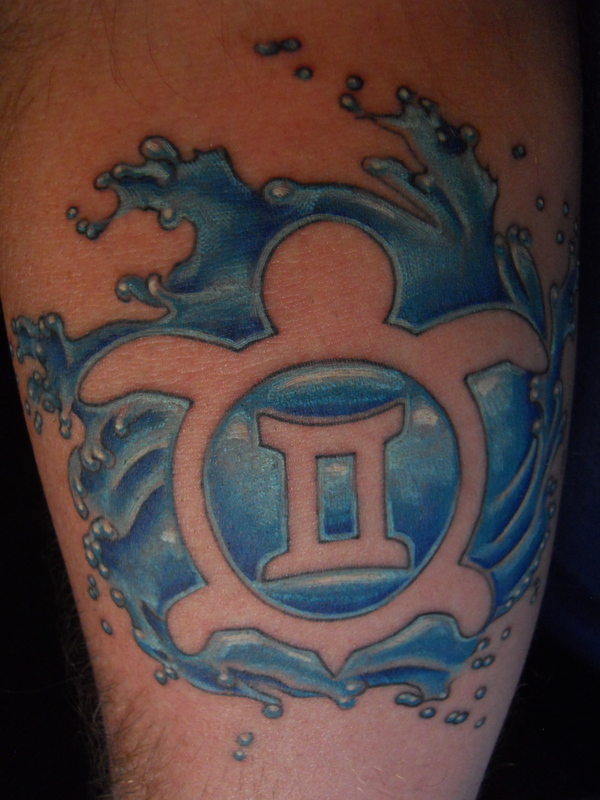 I have never claimed to be a poet, but last year when I committed the fellowship I feel with the sea turtle to my body with needle and ink, I reflected during the painful process on Why?, and I’ll leave you with what I came up with for an answer. Thank you, especially today, for reading. I work on the airplane, but this is better than flying. Especially today. I slip between the waves and the very atmosphere, now thick and green, lifts me up. I hover above the turtles, roll among them, dive. Under the dancing shadows of the great round shells, I look up; the sun behind them sparkles impossibly close, riding the waves just like the blondies on their longboards up the beach. I hear wet, the occasional wave, but little else. No cacophony, certainly no cries, here where there are no skyscrapers, and, in any case, no airplanes to fly through them. Beautifully said. I remember only the shock. Followed by the anger at George Bush for declaring war. And now, an annual sadness. Good for you for making changes in your life and looking foward instead of dwelling on the loss.